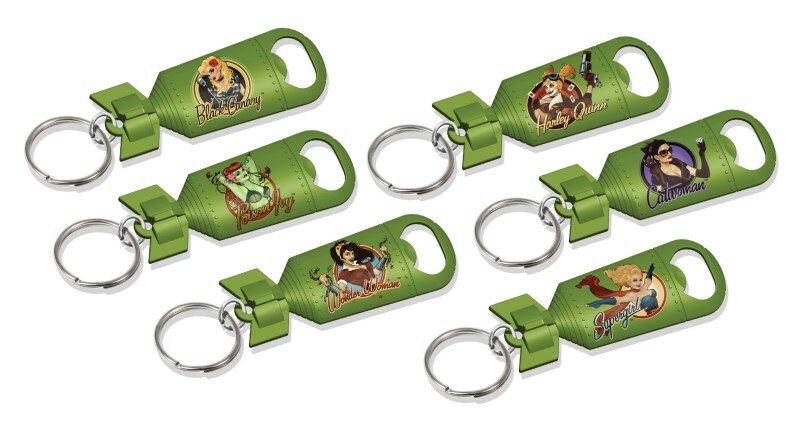 Lake Forest-based Cryptozoic Entertainment, in partner with Warner Bros. recently announced the release of DC Comics Bombshells Keychain Bottle Openers. Designs include Harley Quinn, Wonder Woman, Catwoman, Poison Ivy, Supergirl, and Black Canary. The keychain bottle openers have a suggested retail price of $5.99. Cryptozoic Entertainment is a leading developer and publisher of original board games, trading cards, and collectibles, including: The Walking Dead board game, The Big Bang Theory: the party game, and Ghostbusters.